ServiceMaster® Building Services is a family-owned franchise that is part of the ServiceMaster Clean® national chain which provides professional janitorial services for commercial buildings. ServiceMaster has been serving the Kent County area for over 20 years. ServiceMaster® Building Services has been owned by the present management since 1995. We come with over 25 years of cleaning/management experience. We are proud to be a part of the largest cleaning company world wide, in which thousands of businesses depend on ServiceMaster daily to enhance their business images with over 50 years of experience. 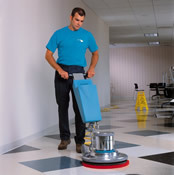 ServiceMaster® Building Services can provide for almost every cleaning need your company may encounter. We are a customer oriented business that combines Principles, People and Performance to serve customers and provide opportunities for employees to develop skills and abilities. Please contact owner Jack DeBlaay at 616.554.3787 for more information. To request a free quote for any of the services we provide just fill out this form.